Low stakes grinders who are looking to get more out of their tournament buy-ins should definitely check out Carbon Poker this month. 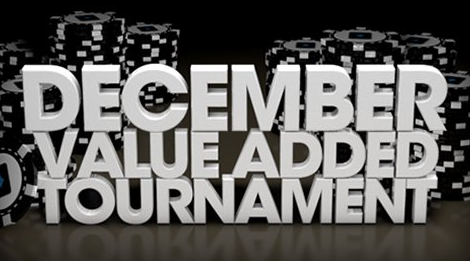 That’s because Carbon is holding several added-valued tourneys in December, and the buy-ins are extremely cheap. Let’s discuss these tournaments further along with Carbon Poker rakeback and their revamped sign-up bonus. To illustrate an example of what you can expect in these tournaments, let’s say that the December 25th tourney prize pool hits $1k; Carbon would then add another $1k, thus providing a 50% match. This being said, anybody who paid the $1.10 would actually be getting positive expected value out of their buy-in. One stipulation to note with these tourneys is that you must earn 250 VIP points before being able to enter. Of course, VIP points are earned pretty quickly at Carbon since you receive 10 points for every $1 in cash game or tourney rake generated. This being said, you’d only need to rake $25 before entering the added-value events. If you’re not already a member of Carbon, keep in mind that you can receive 35% rakeback and a 200% up to $5,000 sign-up bonus by signing up here through RakeTheRake. The Carbon Poker bonus is definitely worth expanding on since this deal was previously worth just 100% up to $600; however, this site gave the signup bonus a massive boost by making it worth 200% up to $5k.